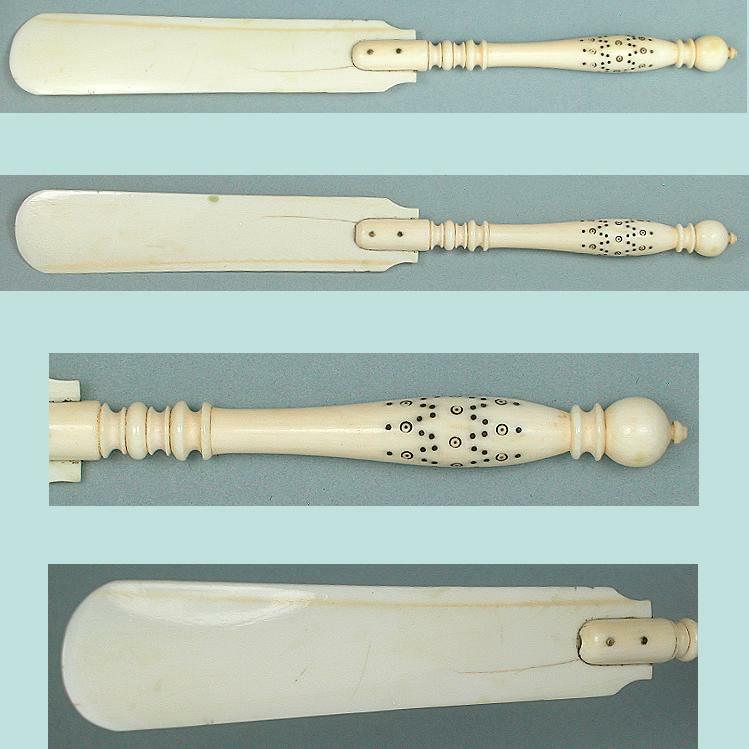 This unusual letter opener is hand carved of ivory and has a nice old patina and grain pattern. The handle has been engraved with fine Madras work circles and dots. This is a form of scrimshaw work where black lacquer is flowed into the engraved designs. It's English and dates to the early 19th century. There is a fine age crack where the blade is riveted to the handle but the overall condition is excellent and sturdy with no other damage. It measures 7 1/8" long. 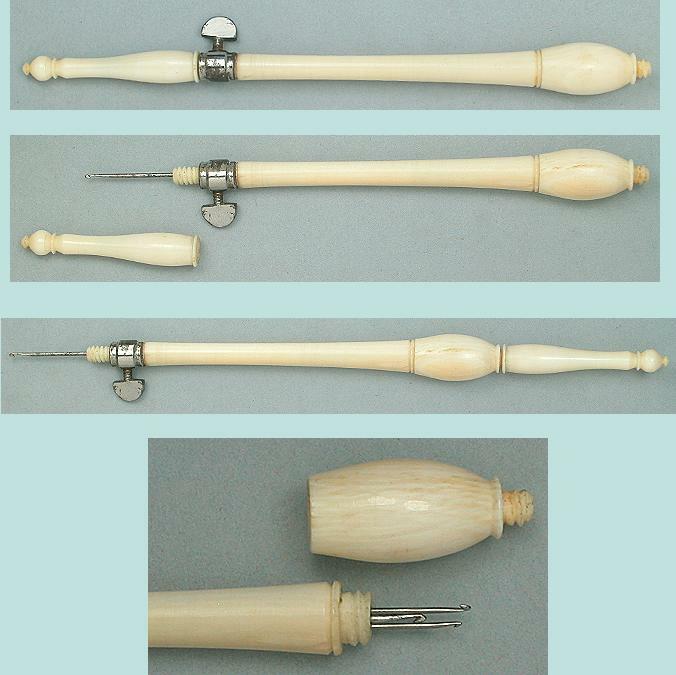 A collection of sewing tools in Madras work are shown on p. 87 of Nerylla Taunton's book "Antique Needlework Tools and Embroideries".